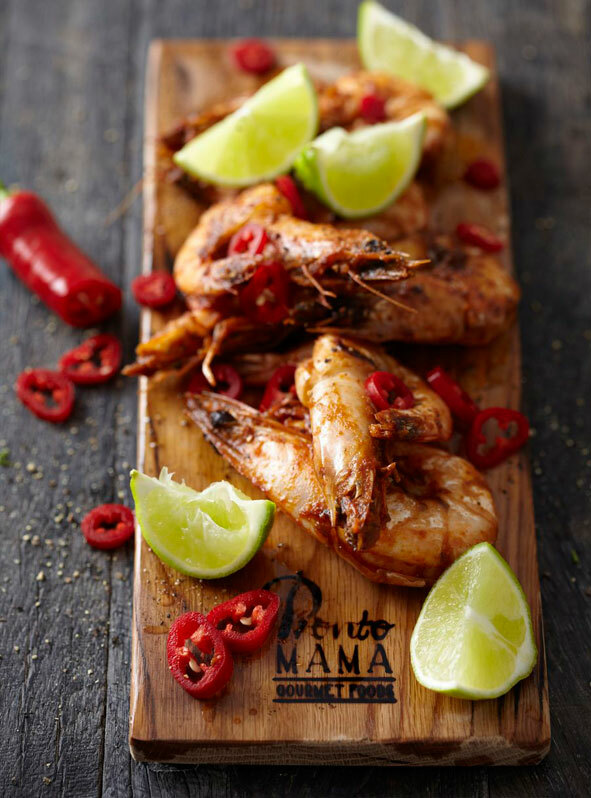 Smoking is a novel way to cook your seafood and Pronto Mama Harissa Sauce – in Fiery Hot or Mild – makes the perfect accompaniment to this recipe for smoked Harissa prawns. • In a large bowl mix the prawns and the harissa sauce, and marinade for at least 1 hour. • Place the prawns on the smoking board and cook according to the board instructions. • Serve with lime wedges.